Realtime Masterplanning is now a reality, thanks to a joint collaboration between BuroHappold and Flux. 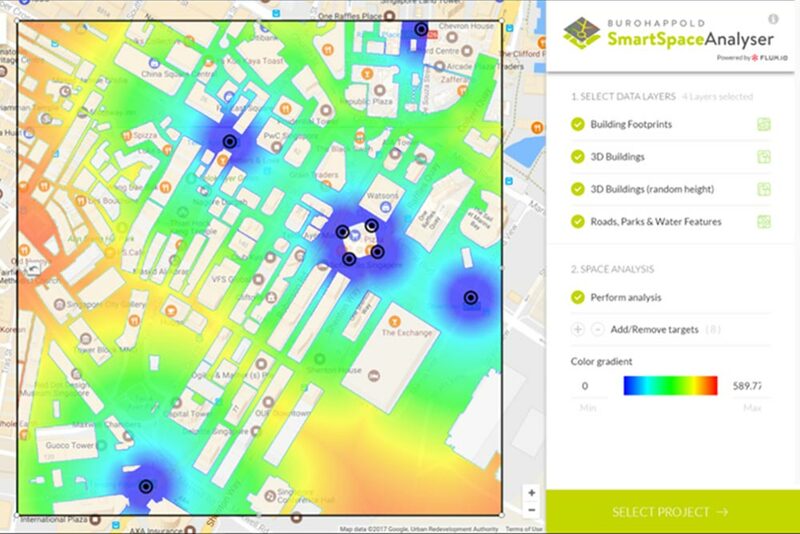 Watch our demo below to see how the highly intuitive SmartSpaceAnalyser can perform spatial analysis on a building or urban scale. It allows you to perform distance mapping, visibility analysis and connectivity analysis in seconds. Using a drag and draw interface on top of Google Maps the user can quickly run these analytics in realtime, and quickly export all the analytics to the most common 3D modelling and BIM environments of Sketch-up, Rhino 3D and Revit, for further analysis and integration with the design workflow. As a Grasshopper plug-in for Rhino, SmartSpaceAnalyser provides real-time interaction in the modelling environment to quickly test a range of scenarios with instant visual feedback. 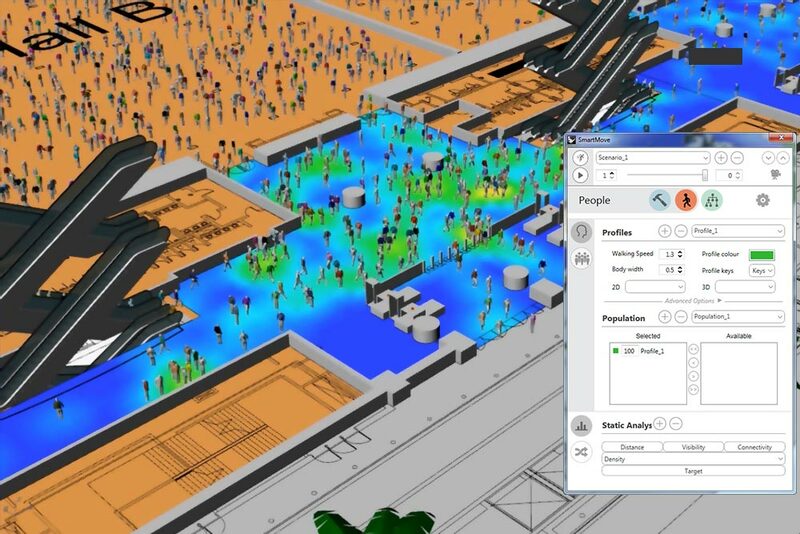 SmartMove is a highly intuitive tool to simulate, analyse, and visualise crowd flow in buildings and urban spaces. As a plug-in to Rhino 3D, SmartMove provides real-time interaction with 2D/3D models without having to leave the modelling environment. 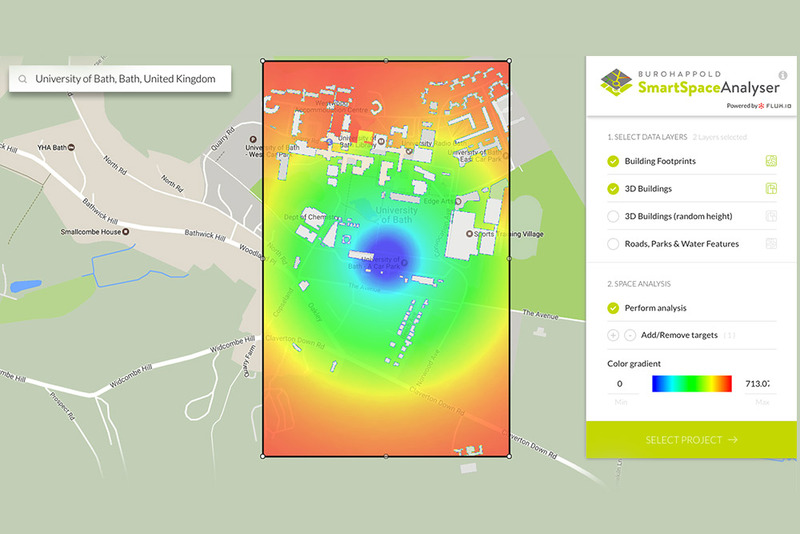 Designed and developed by the Smart Space team, SmartMove has been developed and improved over a number of years, benefiting from our vast experience in simulation of crowd flow at venues covering urban, education, sports, rail and airports. See what SmartMove can do. An increasing number of modern architectural designs have complex 3D forms that require an element of ‘smartness’ in the design of the structure. BuroHappold’s structural experts have worked on many such projects, including glazed canopies, grid shells and greenhouses. 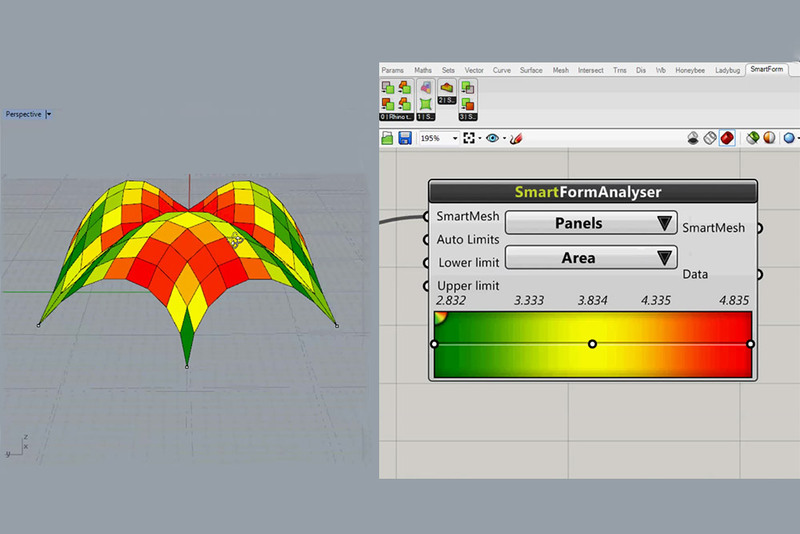 In order to create optimal structural solutions for these complex doubly curved geometries, we developed SmartForm, an in-house digital prototyping tool developed as a component for Grasshopper 3D. See our YouTube video of SmartForm in action.